Who Should Be Held Accountable for San Jose Flooding? The flood in San Jose continues to fuel a growing political fight over accountability. Robert Handa reports. 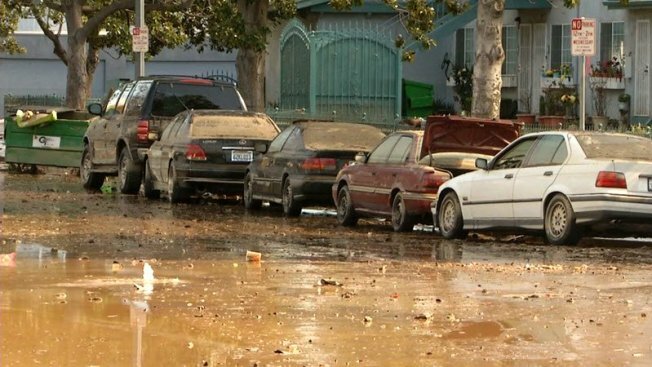 As the cleanup of flooded areas in San Jose continued Monday, a political fight was brewing over accountability between the city and the water district. The simmering dispute between San Jose and the Santa Clara Valley Water District may get a little more heated come Tuesday. The two agencies were part of about 20 meetings with Santa Clara County's Emergency Operations Center before last week's flooding. Sources told NBC Bay Area that the minutes from those meetings indicate the water district provided timely warnings to San Jose that the Coyote Creek was in danger of flooding. Those documents are expected to be made public by the EOC on Tuesday. On Friday, NBC Bay Area first revealed city documents indicating the city of San Jose may have received misleading information from the Santa Clara Valley Water District about the threat of flooding from Coyote Creek caused by overflow from Anderson Dam in Morgan Hill. While San Jose Mayor Sam Liccardo has been working at the scenes of the city's flooded neighborhoods, he has yet to officially chime in on the issue of why residents were not warned earlier. It's a question residents say needs to be answered. "It is important because whoever was responsible should've let us know and we could've avoided all of this problem," said Julie Sachs, a property owner impacted by the floods. As NBC Bay Area first reported Friday, emails exchanged between Liccardo and the water district seem to indicate the city was given inaccurate information about the threat, specifically how much flow it would take before flooding started. "There's no question there was some information and communication breakdowns, and that is certainly part of the failure here," Liccardo said. Sachs agreed. "They did the best they could, but it was really pretty late to start, when the water was already at the top of the creek and coming fast," she said. The water district did not respond to requests for comment Monday. The San Jose City Council is expected to schedule public hearings at its meeting Tuesday to address those communication breakdowns, and what they can do better next time.